What is LOVE, Dr. Cookerly? : Startup Love is Never Enough ! Synopsis: This mini-love-lesson is about helping people get beyond just having startup love and growing on to having lasting love that can work for a whole lifetime and much more. What Too Many Couples Say! “It looks like our honeymoon period is over”. “It seemed like we were so in love at first but now it’s all fading out”. “Is our love starting to die?” “We were so great in the beginning but now we’re just getting to be another unhappy couple like so many of the couples we know”. These are the all too common kinds of comments a great many couples make after a startup of seeming to be very in love. But wait! Research shows there are a whole lot of other couples who rapidly recover from that potentially disastrous slump and others who never experience the “honeymoon is over” thing. They, in fact, just keep getting better and better. So, what makes the difference? Is it luck, fate, the stars, communication, is it that one or both of them are doing something the others are not, or what? 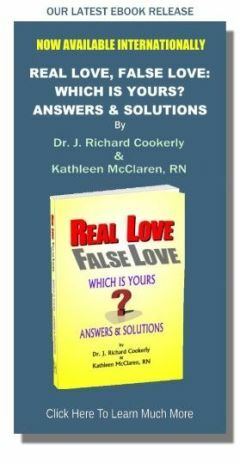 For some couples the answer is they didn’t have real love in the first place but rather a form of false love. It could be limerence or some other false love which means they need to learn about real love and its differences from false love and then what to do about it. For many other couples they had real and sufficiently healthy love at the start, but there were two very important things about love they didn’t know or didn’t know in a deep and solid enough way. The truth is it might not only be about what they do not know. It might also be about a falsehood so many couples have been taught or subconsciously programmed to believe. This falsehood blocks them from learning or deeply realizing a preeminent and profoundly needed understanding of an unwanted truth. It is an understanding of what it really takes to succeed at real love-relating over time. So often the blocking false teaching has to be given up before what really works is able to be learned at the required gut and heart levels. That turns out to be harder than it might sound because the teaching usually has gotten rooted deeply into our subconscious belief system, and we so want to believe it, and reject whatever contradicts it. Therefore, let’s deal with that blocking falsehood first. Don’t you or didn’t you want to believe that One day you meet your one-and-only, true love and you both automatically fall in love with each other. Then by the nature and magic of love you both also automatically live happily ever after. And that is all you have to do about love. Succinctly put, that pretty much is the core of the romantic doctrine. Do you know that it is quite possible that some version of this guiding romance dogma is alive in your very own subconscious mind? Worse, it could be subtly steering you toward the likelihood of your own romantic ruin? That can be so, even if your conscious mind sees big problems with it as a guiding, operational principle for your love life. The research shows that this doctrine, indeed, may work for those who do not get to have an ongoing, real love relationship over time, like Romeo and Juliet who’s lives ended in their teens, and possibly for precious few others. Do you ever wonder why in so many of the great romance stories, both new and old, the couples do not get to be together for even as much as a year before something wipes one or both of them out or separates them forever? Possibly it is because if they were a longer lasting couple, the authors of those love stories know the couple would start having problems and would have to learn the real secrets of lasting love or break up. Have you ever run into the idea that families are people farms and what makes them successful is how well the couple starting the farm knows how to work their farm with love. Please notice the word work and how different that is from the romantic doctrine’s words automatic and magic. Successful, lasting love-relating takes skillful work. Ovid, Rome’s great love poet, taught this in the year 1 AD (or CE). It takes the work of learning how to do love work. It takes the work of learning loving teamwork; it takes the never-ending work of learning how to give out and take in healthy, real love ever better; it takes the work of growing healthy, real love; it often takes the work of practicing healing love; and it takes the work of learning how to individually love each of the individuals involved in your love network, including yourself. It also takes the work of learning how to keep fresh or repeatedly refresh, renew and re-enliven your love relating. The good news is with improvement oriented practice everyone can learn how to do skillful love work. And more good news, probably it also will be immensely rewarding to you and those you love. Startup love is only good for starting up. It seems to be Mother Nature’s way of helping couples get started but after that you have to learn, work and practice a whole lot more than Mom Nature provides. If you are going to get to have strong, lasting and improving love, you will have to work at it. Lasting love is complicated, challenging, confusing and lasting love requires continuing commitment and continuing improvement-focused-behavior, in spite of victories and defeats, advances and setbacks. Becoming complacent with victory or too easily giving up with defeats, is not a path to a strong, growing and lasting love. Startup love between parents and newborn infants works much the same. After the early, natural, initial, love bonding of a parent with a child, comes all sorts of work on how to love that particular child in the particular ways they need for their growth and development (At this site’s mini-love-lessons see Parenting Series: Paul’s Points on Love for Parents). Those parents who go to the trouble to learn about the major ways of nurturing a child with the appropriate behaviors of love have been showed to do much better than those who do not learn that knowledge or practice it. Startup love in friendships, with comrades, new family members, with pets and others can work the same as with couples and infants but instead often may depend on slow growth, love development. In any case, startup love is best seen as something to be added to, by deliberate work at doing better and better love skills development. If Your Love Is Crashing, Sinking, Fading, Drifting, Slumping or Plateau-ing??? If you sense or suspect a love relationship of yours is doing one of the above, start by thinking about your ways of love-relating. How are you relating with love and how can you improve relating with love to and with your loved ones? To learn how to do better, you can do a host of different things. You can read all the mini-love-lessons listed in the Subject and Title indexes of this site which seem to apply or grab your attention. 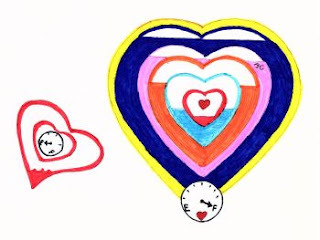 You can study the eight major ways or categories of behavior that social psychology research has discovered helps love get delivered from one person to another (Start with the mini-love-lesson titled Behaviors That Give Love – the Basic Core Four). You then can read more about those in our book Recovering Love. You can work with St. Paul’s list of what love is, what it gets us to do and be in the New Testament. You can work at talking your beloved’s love language by studying Chapman’ s The Five Love Languages. You can see if you can find a real-love knowledgeable couples or family therapist, counselor, personal coach, cleric, mentor, guru, or other guide and work with them as an individual, or better yet, as a couple or as a family. You can look for and go to personal growth and relationship classes, workshops, retreats and also online courses having to do with healthy, real love development. You can read everything you can get your hands on about growing healthy, real love – which you are already doing by reading this. In other words, you can start, by yourself or even better with a loved one, doing the work of learning the how to’s of better love relating. I again want you to think of a farm. If the people running the farm just rely on nature to produce the crops they soon would go back to living as primitive hunter/gatherers and sometimes starving. This, in fact, is the same with love. In regard to love, many live at the hunter/gatherer, primitive people level, unaware that they can do far better. If you learn, practice and keep working to improve your work of farming love, you very likely will do very well. If you rely only on startup love thinking it is so great it will last you a lifetime and, therefore, you do not have to work at it – well, good luck, because you probably are going to need it. Help spread love knowledge, tell somebody about this site! ♥ Love Success Question: How do you feel about hearing that you could have inside you a misleading, destructive, non-conscious program effecting how you go about love?